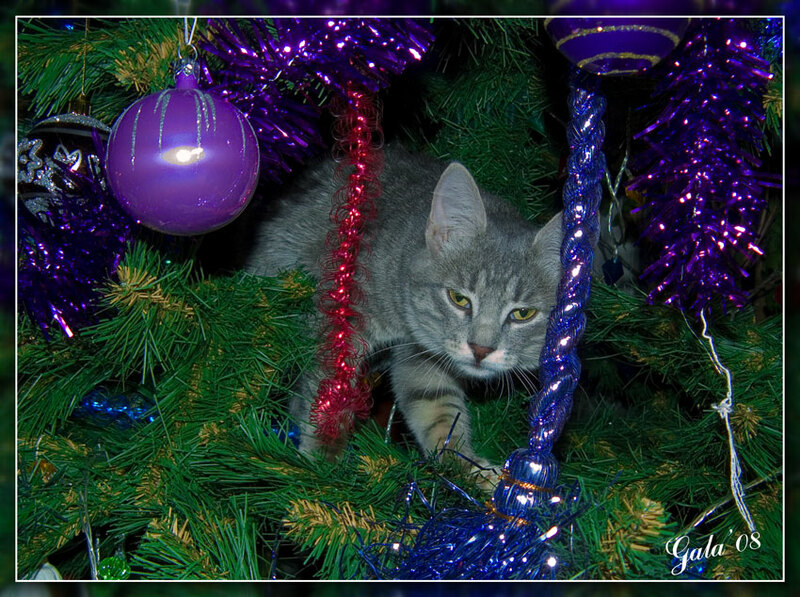 Photo "A Christmas tree at no mice..."
It seems like a toy!!! Уж так и спряталась, она хитрее, затаилась. so nice and lovely, the sweet cat, beautiful! Yeah, it is believed that everyone in the apartment belongs to her. Including people. Ага, оттуда очень уютно шарики сбивать.